I am an expert at keeping the peace, abdicating decisions, and not rocking any boats. Sounds like a pleasant way to live, right? Oh, but there's a cost...because avoiding external conflict leads to something even more painful: internal conflict. I see internal conflict as a quiet battle within the heart, mind, and soul...the frustration, the resentment, the self-doubt, the confusion you can't or won't find the words for...and the insidious fear of fighting for what you really want. I suppose much of conflict avoidance arises from a place of fear and the fight or flight decision. In my case, it's more like the fight, flight, or freeze decision - and I usually freeze. Maybe I avoid conflict because I lack the skill of peaceful conflict handling. Maybe I avoid it because it hurts when someone I care about is angry with me. Maybe I avoid it because I'm a peacekeeper at heart, and conflict seems like the polar opposite of peace. The truth is, external or internal, conflict is almost always uncomfortable, which is why many people steer clear of it at all cost. But conflict avoidance usually backfires - all the unaddressed issues bubbling up until they can no longer be ignored. At that point, peacekeeping is out the window, and war has begun. Interestingly, as I've become more self-aware of my conflict avoidance tendencies, I recently had a writer's epiphany. I have submitted several iterations of three different manuscripts to my editor, and she always offers incredibly insightful suggestions, but I keep repeating the same mistake anyway: The romantic conflict between my main characters is practically nonexistent. 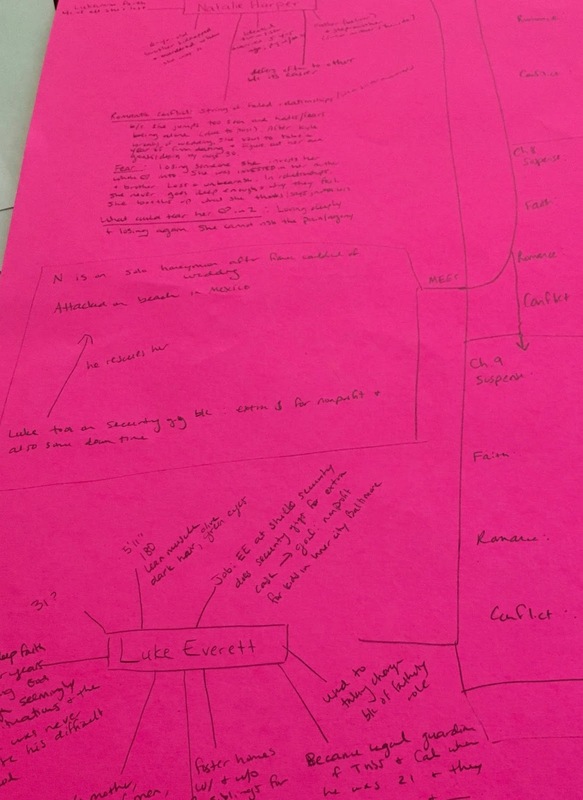 While working on proposal revisions for my next book, I've been doing quite a bit of thinking about the romantic conflicts between the hero (Luke) and the heroine (Natalie). I went a little crazy today, and I pulled out a giant poster board to map out the main elements of the manuscript. (I only had a leftover neon pink from a child's school project, so it's kind of hard to look at.) I started with the easy stuff - the descriptions and backgrounds of main and secondary characters, the faith arcs and romance and suspense scenes, and then I stared hard at the big empty block I'd left for one of my biggest problem areas: romantic conflict. A perfectly timed article happened to come across my Facebook feed today, written by my editor, so I spent a few minutes reading it. As I considered her suggestions on how to build what's called a black moment (the time in a romance when it seems like all hope is lost for the relationship), I realized something. Perhaps the reason I have such a difficult time torturing my characters and breaking their hearts with romantic conflict is that, well, I hate conflict. Surprise, surprise. Conflict and the Happily Ever After. Let's face it. I'm writing a romance to create a fictional story about the kind of love everyone dreams about but not many people find. And in my fantasy world of happily ever afters, conflict does not exist. Facing conflict is necessary for growth. I cannot shy away from all conflict if I desire growth in my relationships, in my career, and in my psychological health. In the same way, my characters can't avoid conflict, or they will be static, their motives unclear, their romance one-dimensional. 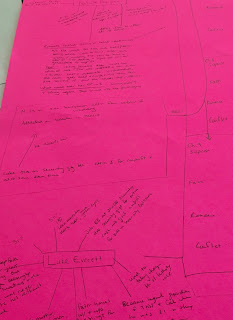 There was something therapeutic today about mapping my revisions out on that bright pink poster board. I began to recognize the depth of my own pursuit of conflict avoidance, while also discovering what it is that threatens to ruin Luke and Natalie's chance of a Happily Ever After. 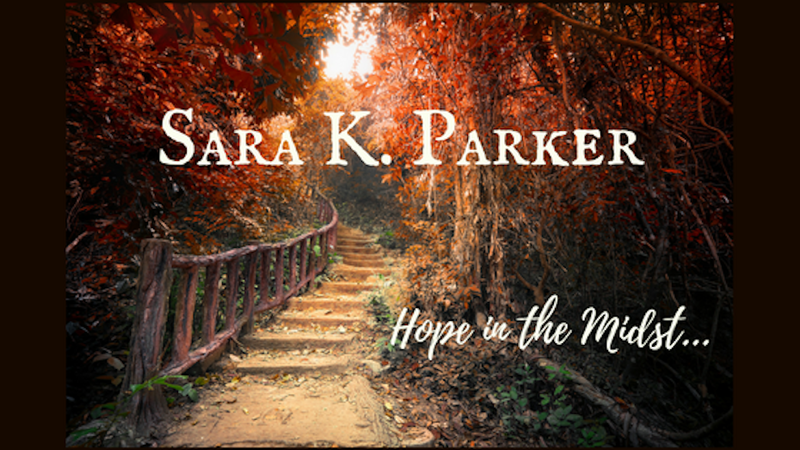 My editor wrote in her article that "the darker the black moment, the happier the HEA feels in comparison." I think that principle applies to real life, too. Out of the depths of tragedy and despair, life blooms again - and usually sweeter than ever before.